Take your seat at the head of the table and get ready to banquet in style. If you want to treat your guests to a large scale dinner celebration of epic proportions, host an African banquet. 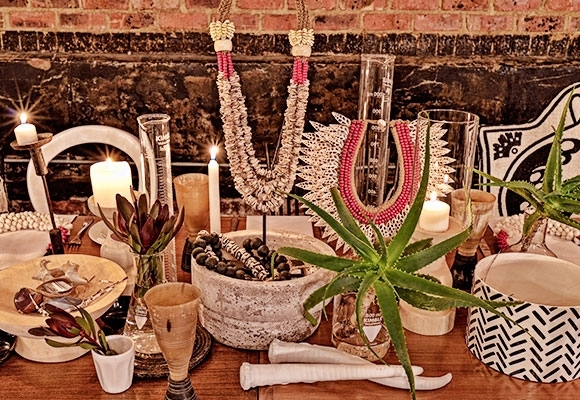 A feast for the eyes, here is a sumptuous spread of wood and crisp linen, African artefacts and local décor delights. With an emphasis on contrasting textures to both complement and juxtapose with the surrounding environment, this is urban African meets African plains.